Recuitment tips, easy experience and boss tips and just some of the things you will find for Blue Rescue Team on our hints and tips page. 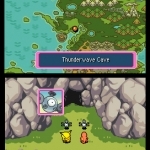 We have 1674 questions and 4459 answers for Pokemon Mystery Dungeon: Blue Rescue Team. Check them out to find answers or ask your own to get the exact game help you need. Is there a way? I've been trying to access the menu o..
What percent chance can I get Articuno. I don't understand what some Pokemon write! "I got K..
We have 11 Walkthroughs for Pokemon Mystery Dungeon: Blue Rescue Team. Pokemon location guide, friend area guide, a faq on AR codes and Wonder mail codes and a general game wlakthrough are just some of the things you will find in our walkthrough section. 16Something's stirring...It's coming closer! what does this mean? I found the introduction very amusing, this first time I played I was a Torchic and there was a la.. This game is not a regular Pokemon game, in fact it's very unique. I believe the genre is a strate.. 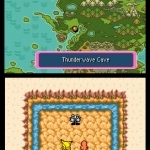 I've played this multiple times and it is by far the [i]best[/i] [color=blue]Mystery Dungeon[/col..
Hello! This is Hi!!!Rules. I highly recommend you get this game. I have had this game ever since i.. 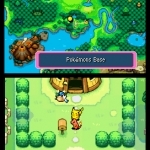 The game Pokemon Blue Rescue Team is a really good action, adventure,pokemon game. 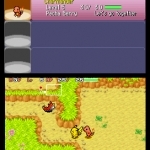 Instead of cont..
pokemon mystery dongeon, is a action / adventure game with lots of new places to explore, and lots..